NOCS provides support, development opportunities and fun for people with high levels of social anxiety and difficulties with social interaction, particularly due to autism spectrum disorder (ASD), such as Asperger’s, or mental health challenges. There are very few support services available for people with these difficulties, many of whom may struggle even to leave their homes and become socially and economically isolated. Through our games clubs, drop-in centre and volunteering opportunities, members are supported to form lasting friendships, gain confidence and develop their social and practical skills in a safe, secure and happy environment. 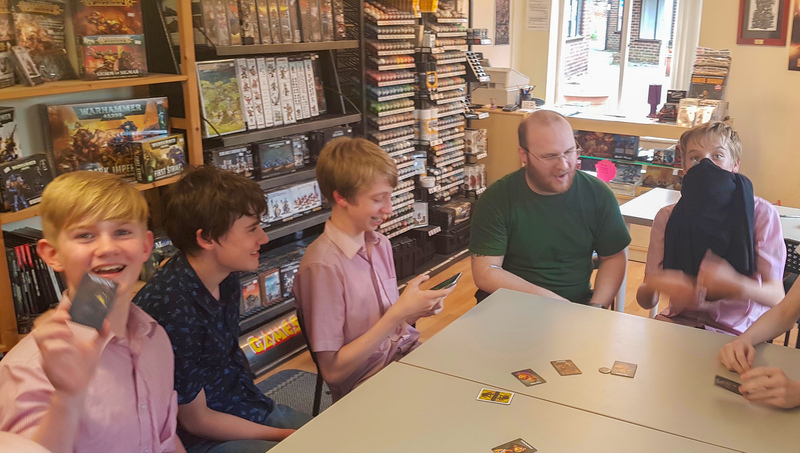 NOCS is fully inclusive and the presence of a wide range of gamers with shared interests helps us all to operate in a supportive community, including those with and without specific social interaction needs. It’s important to us that NOCS has a wide appeal whilst targeting particular support to those with specific social needs. We are SO excited! We are thanked in the Star Letter in the April White Dwarf magazine! It’s unheard of for Games Workshop to honour independent stores this way and thank you so much to Lee from Shillingstone who wrote in to thank us.